The Los Angeles Lakers are going to have to kick it into gear if they want to ​make the NBA playoffs this season. LA comes out of the NBA All-Star break under .500 and in ​10th place in the Western Conference. And things aren't going to get any easier for the Lakers as there is one recent trend that points to the Houston Rockets leaving the Staples Center with a win tonight. LeBron's said his playoff intensity is "activated." Good news for bettors? 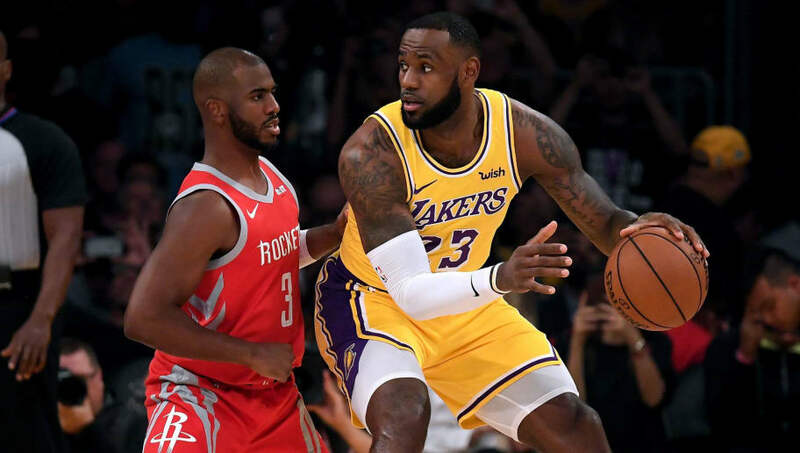 With the Rockets listed as 3-point favorites, according to ​FanDuel Sportsbook, the Lakers may be in for another loss as LA is 1-5 straight up and against the spread as a home underdog this season. A playoff LeBron might be the only thing that can put an end to this trend. Houston has already played the Lakers at the Staples Center earlier this season, a game the Rockets won, 124-115. So they've proven they can beat LeBron in his own house and Houston is already 3-0 against the Lakers this year. With James Harden scoring more than 30 points in 31 straight games, that streak, along with the Lakers' struggles as a home underdog, are more than likely to continue.